The main Dojo is situated at Fort Regent (50 yards to the left of the supplement shop). A fully equipped centre with 2 separate training areas, special safety mats, safety mirrors, punch bags, toilets and changing rooms. 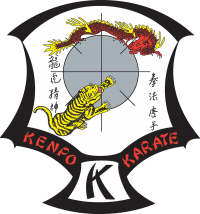 The largest and most fully equipped Kenpo/Martial Arts centre in Jersey. Please click here for our class times. Please use our contact form to contact us, alternatively use one of the methods below. We try to answer emails within 24 hours.